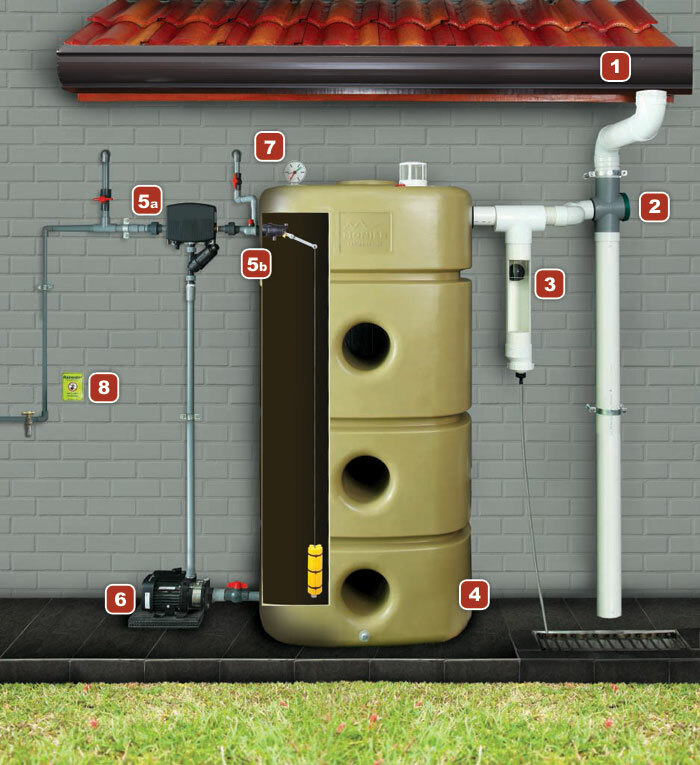 MONIER Rainwater Harvesting System takes full advantage of the rainfall patterns by tapping nature’s free resource when there is rain, to be collected, filtered, stored, and re-cycled for use for example watering of gardens, flushing of toilets and etc. Furthermore it is easy to install and simple to maintain, hassle-free yet effective supply of harvested rainwater that saves water costs whilst helping the environment. 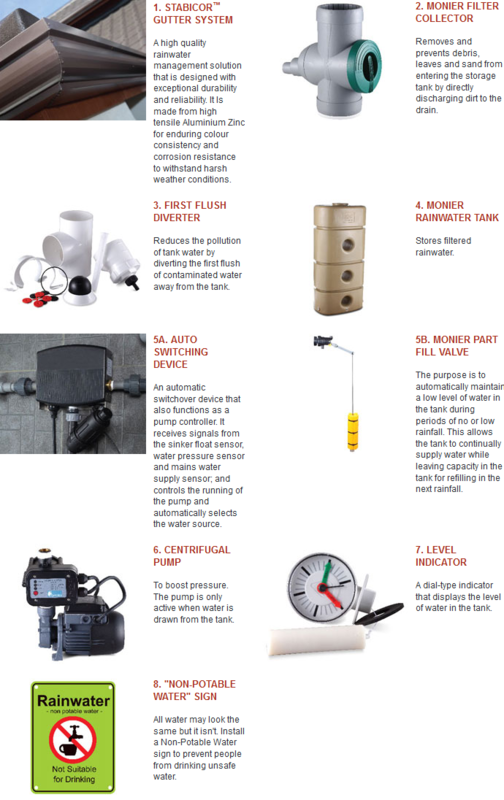 Should its storage tank run dry during periods of heavy usage, it will automatically switches to the mains without disruption in water supply. 19, Jalan Bukit Indah 25/4, Taman Bukit Indah 2, 81200 Johor Bahru, Johor, Malaysia.